Our solution is two pronged: help farmers optimize yields and income; predict yield in advance of harvest for better positioning in markets. 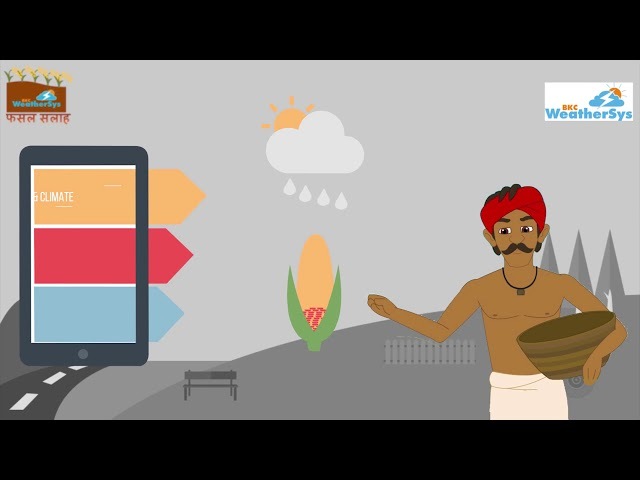 Through our app FASAL SALAH, farmers are guided throughout the crop cycle-hyperlocal weather forecasts, how to prepare the field, seed availability, where to buy inputs, hire implements, application of fertilizers and pesticides, when to harvest, what to do after harvest, where to sell products and latest techniques of preservation. We are with farmers all the time as FASAL SALAH works as their personal advisor. FASAL SALAH serves ~120, 000 farmers across India. A farmer's location, seed variety, and sowing date are ascertained. Then using dynamic weather-based crop modelling, IoT, and automated image processing techniques, their crop is monitored remotely. Dynamic advisories that change with changing weather patterns are available round the clock. Crop pictures are analysed for remedial measures. FASAL SALAH also provides market trends, prices, news, and has evolved into a trusted platform for meaningful interactions in the communities it serves. We also predict crop yields and production quality. Thus, along with farmers, food processors benefit by taking a position in advance and making gains on the commodity market. Our technology is scalable to multiple geographies. Our mission is to change the social landscape of India through improving the livelihoods of small holder farmers. We are already making an impact (see attached slide deck). 6. Increased awareness on improving soil quality and techniques thereby. 7. Farmer empowerment and community building through our 2-way platform for engaging dialogue and relaying news and employment opportunities.